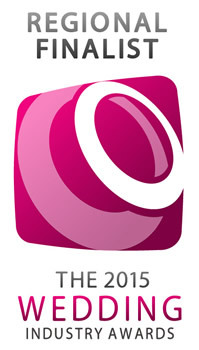 On 24th November at Binley Farm, Tetbury, Gloucestershire The South West regional winners of each of The Wedding Industry Awards categories were announced live on stage by TWIA founder Damian Bailey. Eyedo Makeup operate across Somerset, Devon, Dorset and further afield. 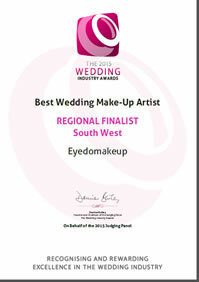 Against very stiff competition Jane Dare and Eyedo Wedding Makeup were awarded South West Regional Finialist in the category Best Wedding Make-up Artist. 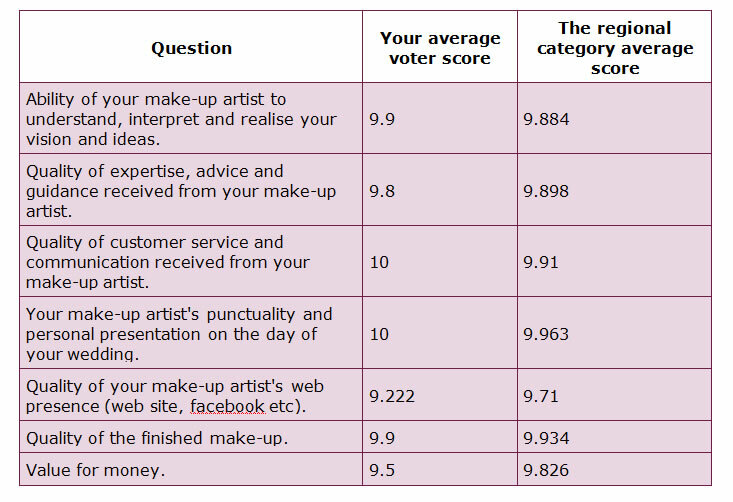 Each Wedding Industry Awards finalist is presented with their scorecard from recent clients, see below, with Jane scoring an amazing perfect 10 in two categories! Eye Do Makeup-Wedding makeup, makeup masterclasses and makeup photoshoots covering Somerset, Devon and Dorset.